Happy to be back for another week of Five Favorites with Hallie! I usually don’t spend a lot of money on makeup, but one of my must-have items is this concealer pallete. I bought it nearly a year ago and will still be able to get several more months of use out of it! 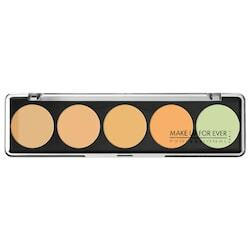 I love how all of the colors are in one compact – salmon to neutralize under eye circles, green for red areas and blemishes, and skin tone shades. There are some great YouTube tutorials out there and those videos are actually what convinced me to invest in this product. I’m glad I did! This recipe is delish! It sounds kind of weird at first, but it is one of the best smoothies that I’ve had! My husband thought it was a little too peanut butter-y for his taste, but I had no problem with it! My girls loved it, too! I even snuck some spinach in there and it still tasted amazing! I’ve been doing Natural Family Planning now for about eight years. 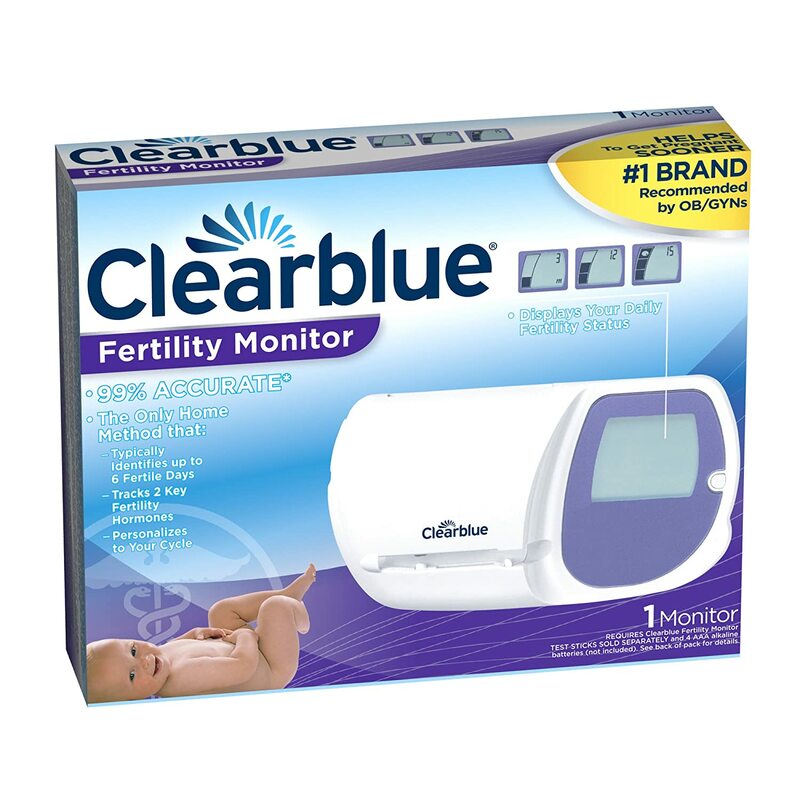 Two years ago, after my second daughter was born, I decided to invest in the Clearblue Fertility Monitor as an extra measure to make sure I was reading my signs of fertility and infertility correctly. I am pretty aware of my bodily symptoms, but sometimes I’d forget to take my temperature at a certain time or whatever and my chart would be a little incomplete. I love that there is a three-hour window each morning to, er, tinkle on a stick so it can check hormone levels. I’m sure several women reading the post are familiar with this, but for more information on how to use this product for NFP, check out the Marquette Model. I’m currently reading this book by Matthew Kelly, one of my favorite authors/speakers! 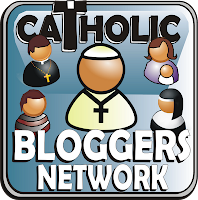 I love what he is doing with The Dynamic Catholic Institute! Anyway, I’m about halfway through the book and there are so many great passages worth highlighting, as is common with many of his books! 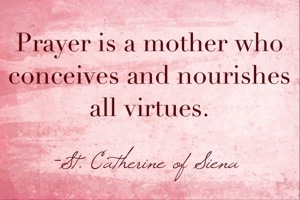 I really love what he has to say about prayer. I’ve been reading/listening to some great stuff on prayer lately and plan to do a post in the near future about this essential element of pursuing God’s will! ← Being Joyful on Purpose (Despite Neighbors and Old Cars)! Hmmm….gonna check out that concealer thing-a-ma-bob. I just think Matthew Kelly is doing fantastic things! Let me know what you think about the concealer if you get it! That concealer pallet looks awesome!! Oh, don’t you just love Matthew Kelly. If you aren’t already, you should sign up for Lighthouse’s CD-of-the-month! Love me some Matthew Kelly! My mom has been getting the CD’s for a long time and actually is in charge of that ministry for our church! Lots of great stuff! LOVE Matthew Kelly- he’s so good! I haven’t read that particular book, but I’ve read ‘The Rhythm of Life’ twice and it rocks me every time, as I’m sure the book you listed would! And that smoothie looks so refreshing, I’ll have to make one soon! Love the Rhythm of Life, too! I know a couple of people who use Clearblue too. I’ve thought about purchasing one to use in addition to NFP but the price always makes me hesitant. Where did you get your monitor?